A new star tier system and plenty of hero tweaks are now in effect. 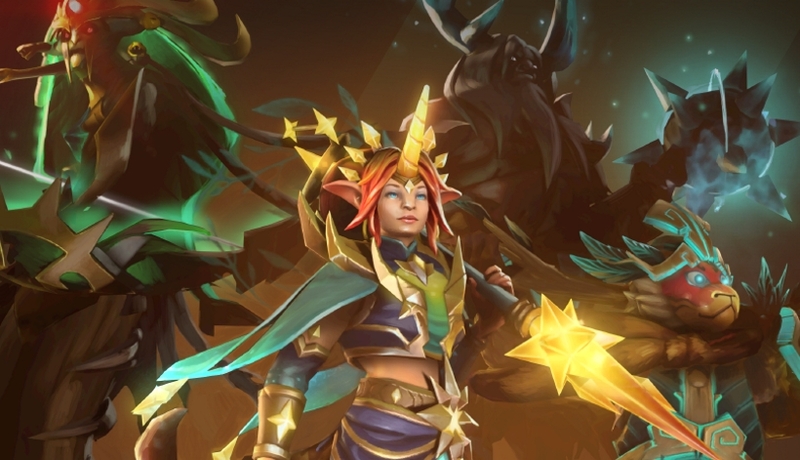 The launch of a new ranked season in Dota 2 has introduced a host of gameplay balances, as well as new cosmetic updates for the Dota Plus scheme. Dota Plus members not only gain access to new item sets for Monkey King, Medusa, Enchantress and Centaur, they also get a fresh bunch of Seasonal Quests to chomp through. For the uninitiated, Dota is a premium monthly subscription for the game that provides an enhanced gameplay experience compared to the default free to play model. With the start of a new Ranked Season, all Rank Medals have also been reset. There are new changes to the star tier system within each rank too, and you'll now need to work through seven mid-tier stars before hitting the next full rank. The developers claim the change has been made to offer more precision within ranking determination, and offer players a more meaningful development route. It's worth reaching those new milestones though, as there are new emoticons to unlock as you make your climb up the ladder. Interestingly, Valve is now offering players more insight into their in-game behaviour. You'll be able to view your behaviour score in-game, along with summaries of your conduct. This is intended to help the playerbase understand the impact of their behaviour in-game, apparently. As part of the broader patch notes, melee creeps have had their average gold bounty reduced by 3, and heroes at large have been given across-the-board buffs and nerfs too - health per strength has been increased from 18-20, while primary attribute calculations have been altered. There's the usual collection of buffs and nerfs for individual heroes as well, and those who would like to dive deep into the nitty-gritty detail are encouraged to check out the comprehensive patch notes which contain everything you could possibly want to know about the January 29 update.